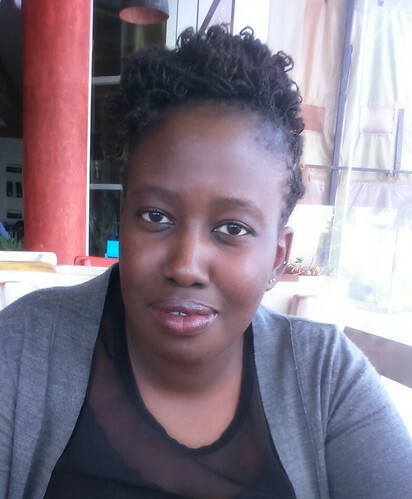 Sharon Ndegwa, program officer at PICO Eastern Africa introduces herself and her work with the program. It is one of a series of portraits of key people in Africa Chicken Genetic Gains (ACGG). My interest is in sustainable rural development work which aims at empowering smallholder livestock farmers and other small-scale value chain actors by enabling them to access the right information and knowledge for decision-making. My undergraduate degree is a BSc. in agricultural economics and resource management. I also have training and experience in accounting. I am currently pursuing a MSc degree in agricultural information communication and management. I am a program officer at PICO Eastern Africa. PICO’s role in ACGG is the formation and mentoring of national platform meetings which will bring together key country stakeholders to engage and identify issues that affect their common interest and to co-create innovative solutions in the chicken value chain. In this process my role is project implementation support, logistics support, program communication, financial planning and budgeting. In the first quarter on 2016, we have held two national platform meetings, one in Nigeria and another in Ethiopia. I am currently planning the Tanzania platform meeting. Following these meetings, I am keen on following up on the progress of country action plans. This project matters to me because if successful, it will impact two very important aspects in the lives of smallholder farmers – income and nutrition. Its focus on women participation is also very important and it will be interesting to see how this is done at all levels of project implementation. In order to achieve our goals, we need to have the right people in the platform meetings, people who are really passionate about this cause. We should work together to ensure that this continues to happen. A lasting impact would be forming strong linkages within the countries’ government and private sector initiatives for improved chicken production for smallholder farmers. This project should be an avenue through which these two institutions can come together to support smallholder farmers. Tags: PICO Eastern Africa, Sharon Ndegwa. Bookmark the permalink.